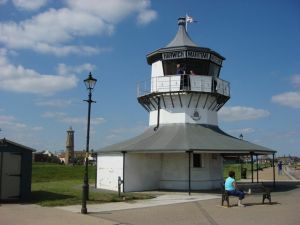 A historic brick lighthouse of 1818 hosts a wealth of maritime exhibits covering the naval history of Harwich and the Essex coast. The Low Lighthouse was built in 1818 as one of a pair of lighthouses to guide ships through the Harwich harbour entrance. It replaced an earlier lighthouse that was painted by John Constable. The lighthouse was designed by John Rennie and built in brick to replace the earlier lighthouse of timber. The lighthouse was owned by General Rebow, who made a fortune by charging a duty of 1d per ton on all cargo entering Harwich harbour. In 1836 Trinity House purchased the pair of Harwich lights from the General for the staggering sum of 31,730 pounds. The changing course of the Harwich channel made the lighthouses redundant in 1863 and a new set of cast-iron lighthouses had to be built at Dovercourt. In 1980 the Harwich Society charity took over the lighthouse and opened it as a museum. 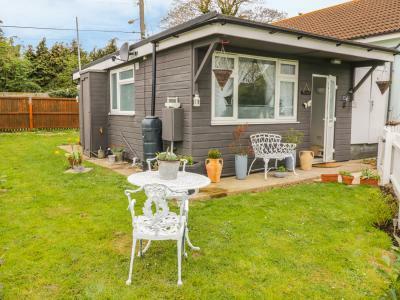 Displays include nautical memorabilia including an exhibit on the Royal Navy, with naval uniforms and badges, and an account of commercial shipping along the Essex coast. See old photographs and paintings, ships in bottles, models, and a display of lighthouse bulbs used to guide ships using the harbour. On street parking is available near the museum, which is only a 5-minute walk from the rail station. Also easily accessed via the foot ferry from Felixstowe. The museum is run by volunteers and has limited summer hours. There is a small admission charge.